Makeover Montgomery 2 | Moving Forward Montgomery is a three-day conference exploring the latest planning trends from across the region. From May 8 – May 10, 2014, the conference will include a keynote address from Georgia Tech professor and award-winning architect Ellen Dunham-Jones and discussions on transportation and transit oriented development (TOD), the creative use of public assets and public-private partnerships, and current planning trends. Lee Quill, FAIA, CNU will present a lecture titled “Transit Corridors as a Model of Suburban Retrofit,” as part of the “Transit Corridors and TOD Tools of the Trade” session on Saturday, May 10, 2014 from 10:15 – 11:45 am. He will discuss the role a transit corridor can play in economic revitalization and physical restructuring of suburban re-development. 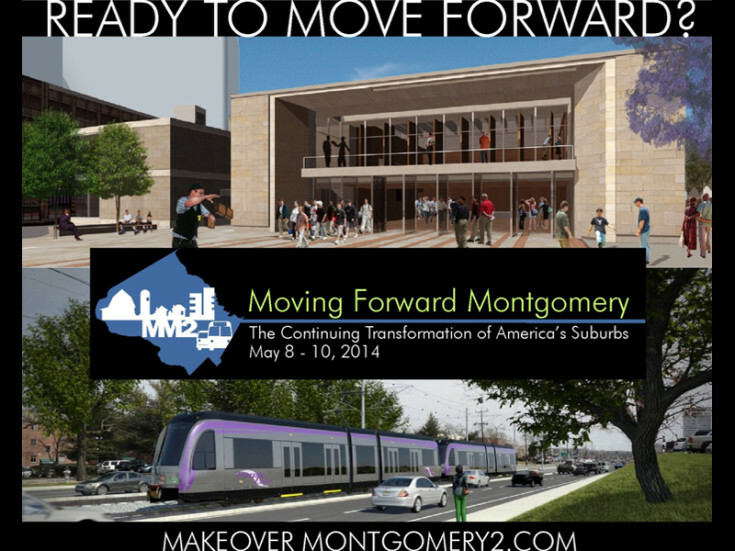 For more information on Makeover Montgomery 2, and to register to attend the sessions on May 9 or May 10, see the full conference agenda.